Daylilies (Hemerocallis spp. ), are popular perennials in U.S. Department of Agriculture plant hardiness zones 3 to 8 or 9, depending on the cultivar. Their grassy leaves gently flop aside to make room for large, funnel-shaped flowers that resemble lilies. 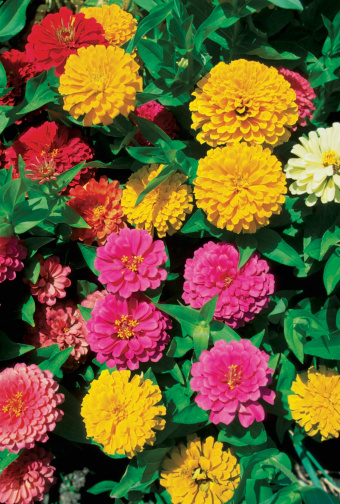 These blooms come in a variety of colors, including reds, yellows, pinks, oranges and lavenders. Daylilies are considered easy to grow and require little care once they are well established. Water daylilies early in the day and low to the ground, ideally with a soaker hose. 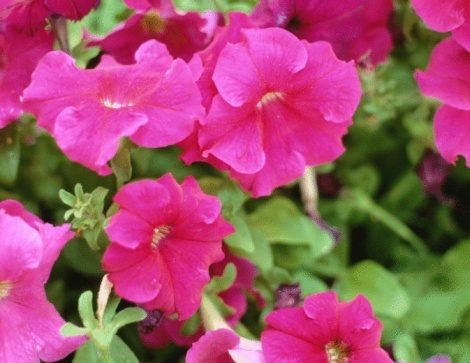 Watering from overhead during the hottest part of the day may cause the blooms to wilt. Daylilies can tolerate drought, but they thrive best with deep watering once a week that penetrates at least 8 inches into the ground. Consider watering more than once a week but just as deeply if your daylilies are planted in sandy soil. Fertilize your daylilies with a low-nitrogen fertilizer. Fertilizing once a year during the springtime is sufficient, and healthy established plants may not need an annual dose. 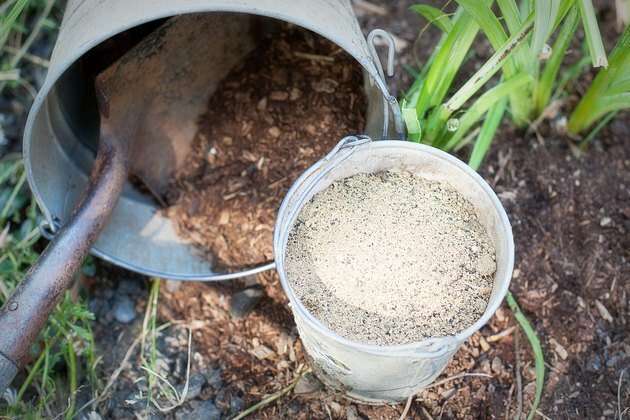 Adding compost to the soil once or twice a year may supply sufficient nutrients. In low-nutrient, sandy soils, you can fertilize again after the blooming season if you feel it is necessary. 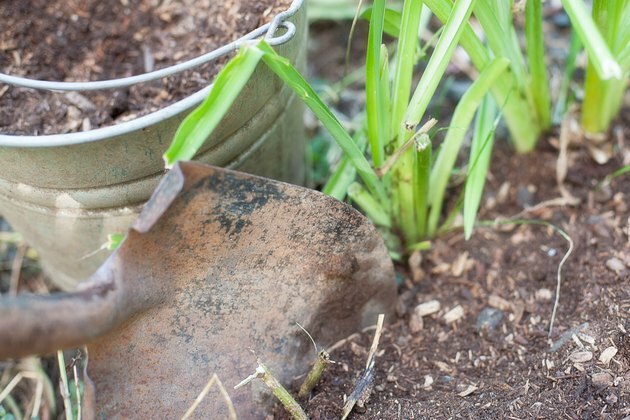 Remove daylily blooms as soon as they are spent. This encourages more blooms and is best done at the end of the day. 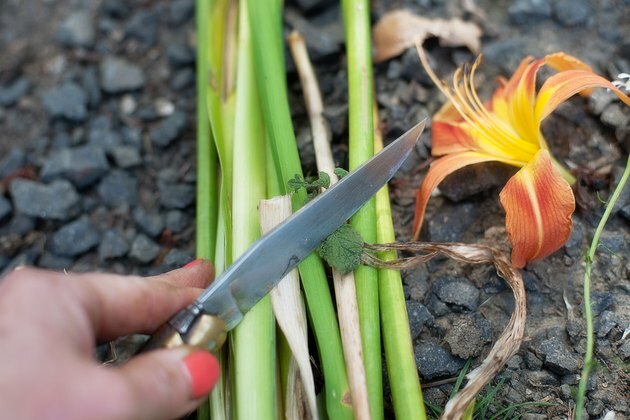 Cut the stalks close to the ground when all the flowers are finished blooming, but allow the leaves to die back naturally before cutting them away. 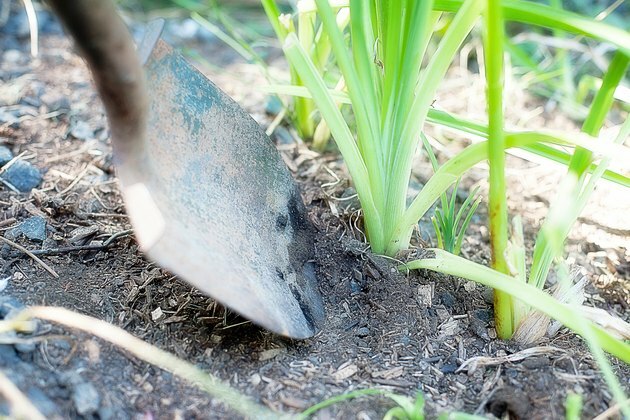 Apply mulch around your daylilies to keep soil temperature consistent. 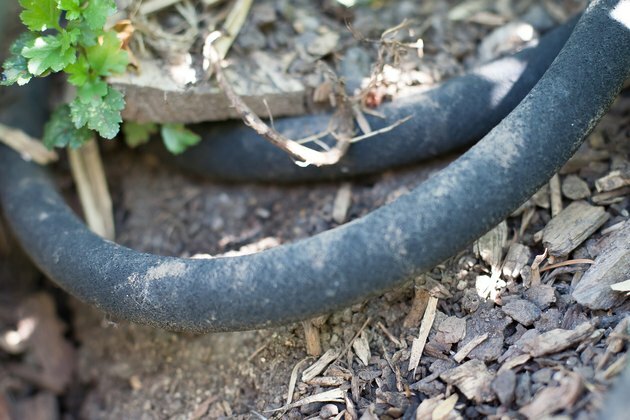 Avoid piling mulch right around the base of the plants, as this can stress stem tissues and may lead to insect and disease problems. 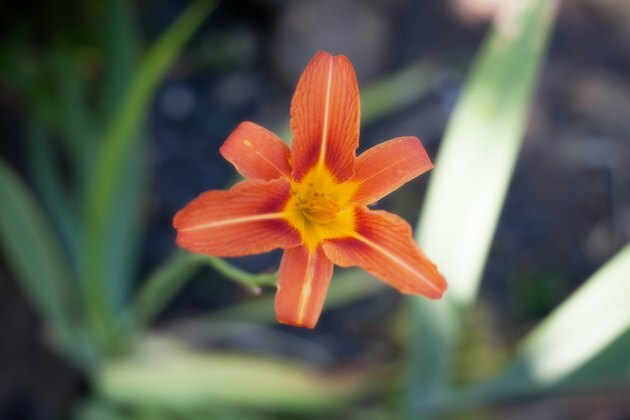 Divide clumps of daylilies when they become large to prevent diminished blooming performance. In the fall after daylilies finish blooming is the best time to divide the plants, as long as they have at least six weeks before the first frost to get established.